Rodale Institute is talking honeybees on the upcoming #plantchat. With the current honeybee crisis, it's timely to look at the role of honeybees and related pollinators in agriculture, horticulture and just plain economics! The list of crops that would fail to be pollinated if there were no bees is a long one; plants with showy flowers are meant to attract pollinators, thus bringing about fertilization and fruit set, and ultimately impacting our own garden's harvest. Since beekeepers first sounded the alarm around 2006, and with an estimated one third of vanished colonies, do you think it is time for the U.S. government to step in and do more to protect honeybees? What first had experiences have you had with honeybee decline? It's another great topic and discussion in store on #plantchat! Join @CoronaTools and #plantchat co-partner, Aaron Kinsman of Rodale Institute@RodaleInstitute who will host this topic. 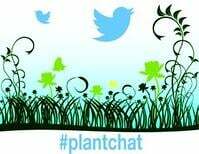 The live chat begins Monday, April 13, 2015 at 11 a.m. PST / 2 p.m. EST, were we come together with green industry experts and fellow horticultural tweeps each week to discuss all things related to plants and horticulture, since 2014. 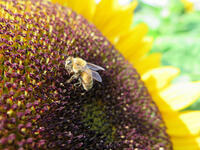 What do honey bees do for us in our gardens and food supply? What is the current state of the honeybee population? What is causing the collapse of honeybee colonies? Can anything bee done to reverse the trend?